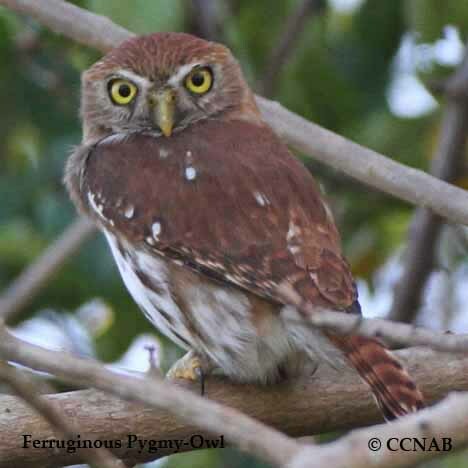 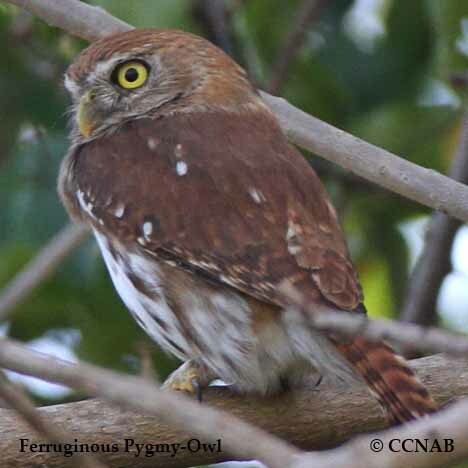 The Ferruginous Pygmy-Owl is a southern cousin to the Northern Pygmy-Owl. 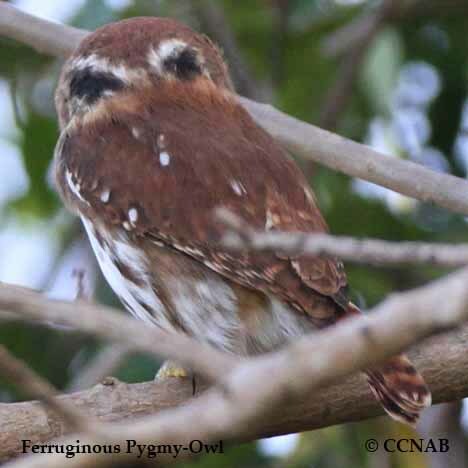 This small owl is seen in the US, at its extreme northern range along the borders of Mexico. 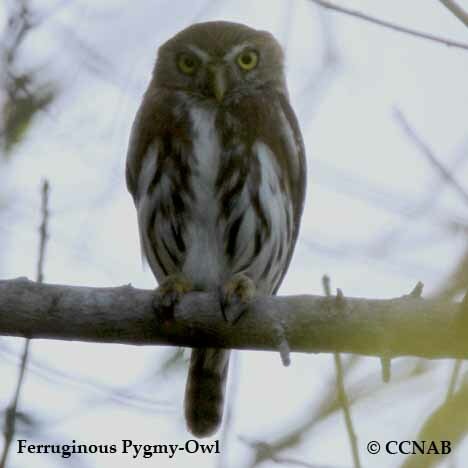 Unlike most scrrech-owls, it does not spend its day light hours in a tree cavity. 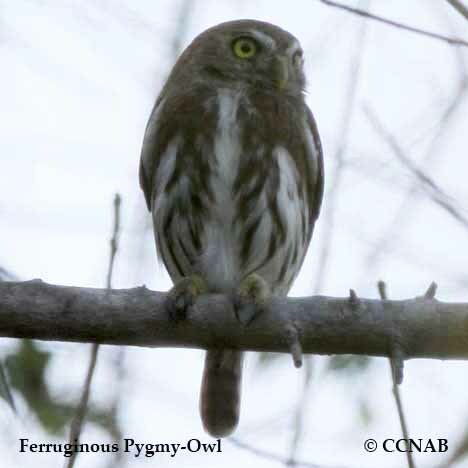 It is usually heard and sometimes seen in the daytime perched in dense cover.